She has performed at The London Palladium and Barbican Theatres and played Lola La Mar in "Copacabana" as well as Connie Francis in "Let the Good Times Roll". After taking a trip to Spain and entertaining crowds in many a hotel across Europe, Keeley decided that the way forward in the events industry was to satisfy soul and rock 'n roll loving crowds. She gained influence from singers such as Amy Winehouse, Chaka Khan, Randy Crawford and Dusty Springfield and designed a show that would be loved by everyone and get her audiences on their feet! 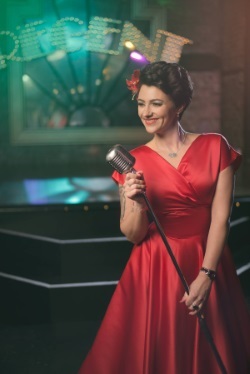 With a reputation for tearing the roof off whenever she is on stage, Keeley is regularly booked for weddings all over the country as well as regularly topping the bill of British Casinos such as Aspers, The Rendezvous Casinos and The Hippodrome. His energy and commitment levels are boundless and his overall resemblance to Robbie Williams himself is truly striking to say the least. Let him totally entertain you with Robbie’s vast array of hits from past and present, including many of the Swing and Take That favourites. His show in its many forms is in its 11th year of touring. During this time he has even sang on stage with the man himself and travelled extensively throughout the UK and Europe. 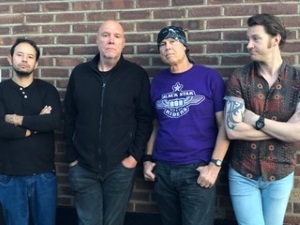 Redriffe play their own brand of ultimate classic rock, featuring bands like The Beatles, Kinks, Rolling Stones, Small Faces, Sweet, T.Rex, Thin Lizzy and Lynryd Skynryd. A dynamic blend of energy and experience, backed up with solid musicianship and charismatic stage presence, Redriffe guarantee to blitz your ballroom, rock your party and ensure a good time is had by all.